The Combo Live Pedestal range offers users a sturdy design for maximum stability, with reliable and simple to use features, making it perfect for live studio applications. With a carry handle for the column and dolly, this compact and portable pedestal range offers an easy setup with column tension control and a safety lock. Its air adjustable column system also allows for quick payload balancing. 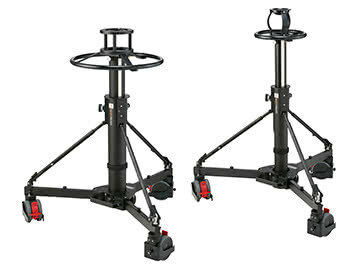 The Combo Live Pedestal series features precise-smooth low noise in the shot column with a 450mm (17.7”) stroke, an independent dolly wheel axle brake system, multiple wheel positions for linear or radius dolly tracking, 125mm dual ball bearing wheels for quick swivel-turn action and a central hub locking column with adjustable spider arm supports. 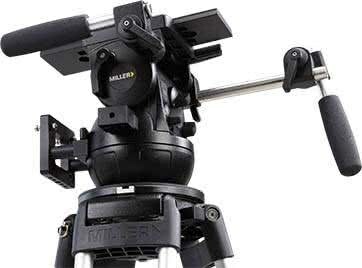 Finally, the series was built with a steering wheel diameter of 294mm (11.6”) and 400mm (15.7”), a dolly tracking width of 964mm (38”), sturdy adjustable cable guards and a portable hand pump with pressure gauge. 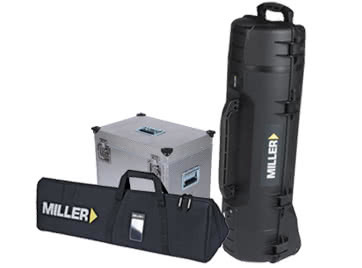 The pedestals will be available as a system paired with several of Miller’s popular fluid heads. 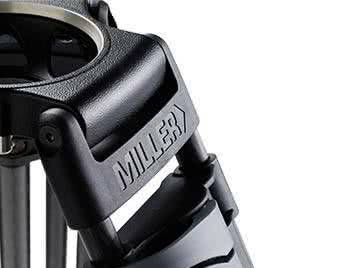 The Compass 23 Fluid Head is the newest entrant to Miller’s 100mm range and provides users with the capability to add more lens and rig options without completely going out of the 75mm price point. 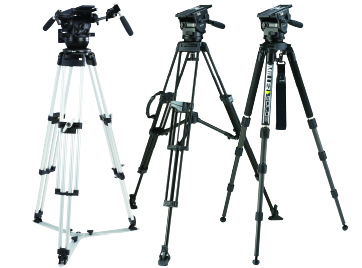 It is designed to handle a variety of setups, from those that employ a light rigging with just a camera and a lens to a full rig adding on monitors, wireless mics, batteries and more, where standout features such as pan and tilt smoothness and multiple counterbalance selection are also required. To accommodate different setups, the Compass 23 is equipped with 3+0 selectable positions of high-performance drag and four counterbalance positions for payloads from approximately 4 kg (8 lbs) to 14 kg (30 lbs). 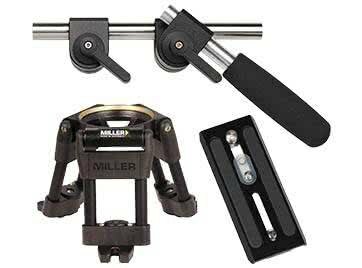 It also has a 120mm sliding camera plate with 60mm travel for perfect balancing. This new fluid head comes equipped with readily accessible controls and illuminated bubble level, superior pan/tilt locks utilizing disc brakes and replaceable tilt end rosette.